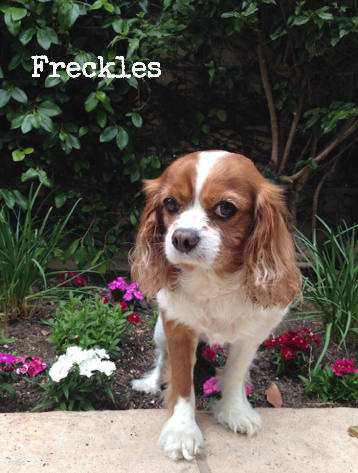 Our hearts go out to the Kim family on their loss of sweet Freckles who passed away from Canine Congestive Heart Failure. Congestive Heart Failure (CHF) is when the heart cannot deliver enough blood to the body and fluid backs up into a pet’s lungs and abdomen, putting pressure on the heart. It is a progressive disease that can be caused by a variety of reasons, including: high blood pressure, heart defects, heartworms to name a few. Unfortunately, in most cases, CHF cannot be cured. However, you can provide treatment for your pet which can help improve their life span and quality of life. Purrfect Pet CoQ10 - these softgels use an advanced technology that provides an efficient and natural method of nutrient delivery, offering enhanced absorption and assimilation versus ordinary capsules and tablets containing Coenzyme Q10.